This post is in collaboration with & sponsored by Clarins. When it comes to high-end beauty and skincare products, Clarins has been a go to for a long time. With the changing weather, it felt proepr to talk about some face oils, to help get the moisture where it needs to me over the next few months as the temperature goes down. I always notice a huge difference in my skin as it gets cooler, mainly because my skin is more prone to being dry, flaky and having additional texture. 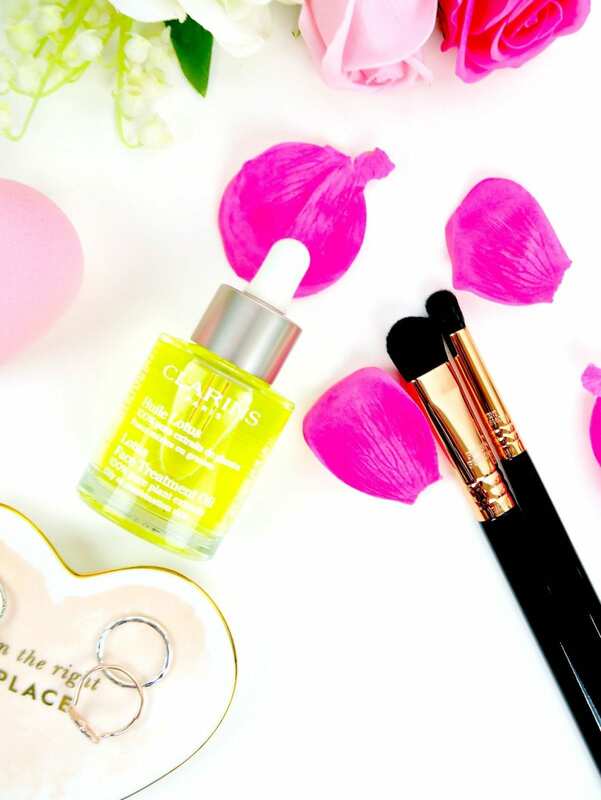 Clarins has a trio of face oils, one of which will be perfect for your skin type. There is a Santal Face Treatment Oil and also a Blue Orchid Face Treatment Oil. The one I wanted to go for was the Lotus Oil. For dry, irritated and stressed skin, you choose the Santal Oil. When it comes to combination or oilier skin, the Lotus Oil was the best option. If your skin is really dry, you would want to utilize the Blue Orchid Oil. 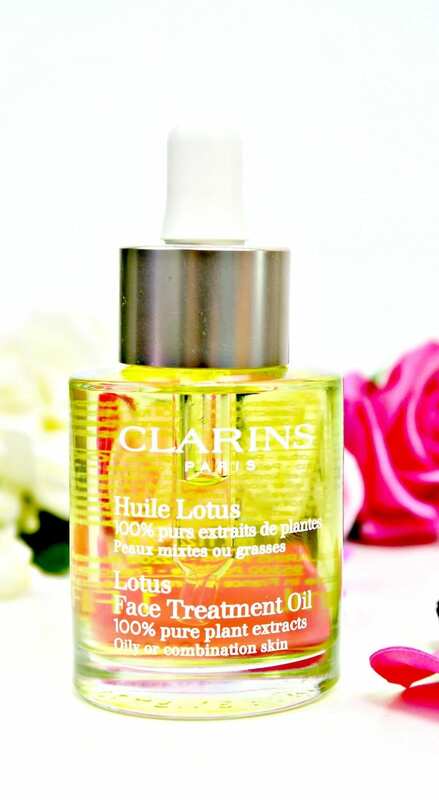 The lotus face oil is lightweight which is one of the most important qualities when it comes to the oil that gets put on the face each night. I don't want to go to bed feeling super oily, or as if the oil is very thick and weighing down my skin. Lightweight is important, so it was one of the first things I noticed with the lotus oil. One of the main ingredients is rosemary. Rosemary is rich in essential oils, and one of the herbs that chefs and cooks alike, use on a regular basis to make food more flavorful. Rosemary is really effective at helping restore that youthful glow and making the skin look refreshed. The other main ingredient is sacred lotus. This plant was used in traditional Asian medicine, and the flower helps to decongest and soften the skin. This is exactly what I felt the day after using this oil for the first time. My skin was so much softer, and it looked less decongested and more luminous. Another thing that's always very important is the packaging of the oil itself. Since there's a dropper, it is really easy to only take one drop. Typically what I do is get a good sized drop, warm the oil between my fingers and then gently press to my skin. This is one of the reasons dermaplaning is so brilliant. When you dab this oil into the skin, it will get much deeper into your skin if you've done some dermaplaning. I wrote all about the benefits of dermaplaning last week, so make sure to take a peek at that. Because the lotus oil is a natural astringent for oilier and combination skin, it helps to hydrate, tone and balance oily skin types. The combination of Clarins’ concentrates of Rosewood, Geranium and Lotus helps to tighten those pores and refine skin texture. The hazelnut oil helps to soften the skin (one of the big benefits I've seen on the regular) and then it helps to smooth the skin so makeup applies beautifully. The better moisturized you keep your skin, the less likely wrinkles will form prematurely. The oil is made without parabens, sulfates and phthalates. It also contains 100% pure plant extracts and zero preservatives which is vital when you're putting products on your face. I especially think it's important if this is the product that is going directly into your skin in the evening because it will sink deeper into your skin than any other product. After using this lotus oil for one week, I felt a significant difference in my skin. It was so much softer, smoother, and looked healthier. Whenever I travel, my skin really goes downhill and since I've been traveling most of October, my skin has not been happy. I took this oil with me on my last 2 trips, and it was a true elixir. Hydrating, luminous, and super glowy. I've tried different night serums in the past, and this one has a very moisturizing element to it. Without being oily, it is so hydrating which has helped my skin come back to life, especially when I travel to different places. Like I mentioned earlier, I only use a drop and then gently press into my skin. A little bit goes a long way when it comes to this oil, so you only need a drop or two. It does well if your skin is very dry and acts up from time to time. 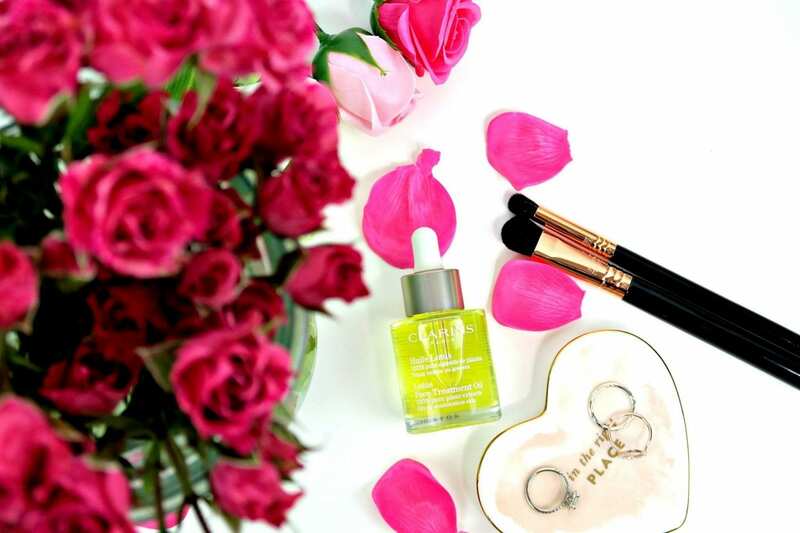 Whether your skin is too dry, too oily, or even normal (you lucky duck) there is an oil for you. 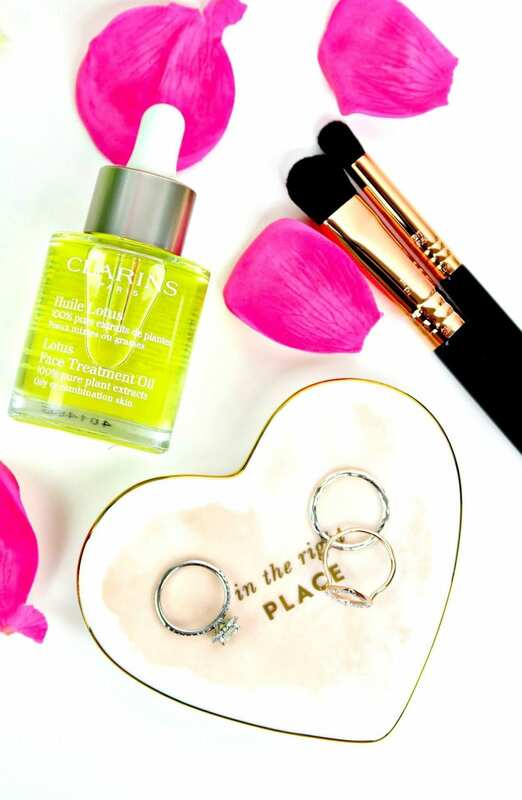 It's the perfect moisture your skin needs in these cooler months! Which oil do you think would be most suited for you?